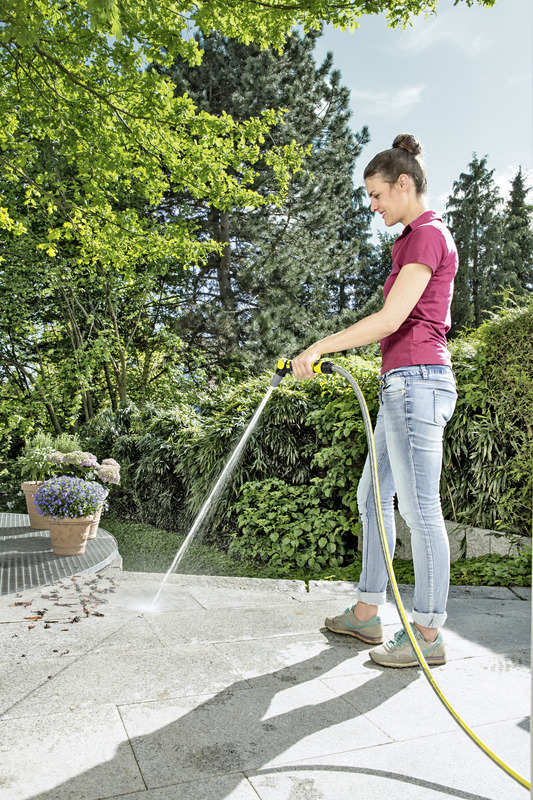 PrimoFlex® plus hose 5/8" – 50 m 26451470 https://www.kaercher.com/ie/home-garden/watering-systems/hoses/PrimoFlex-r-plus-hose-5-8-50-m-26451470.html 50 m PrimoFlex® plus quality garden hose (5/8"). Pressure-resistant, reinforced braided. Unharmful to health. Bursting pressure: 45 bar. Wide operating temperature range from -20 to 65 °C. The PrimoFlex® Plus quality hose, which measures 5/8" in diameter and 50 m in length, is perfect for watering areas and gardens of any size. The three-layer garden hose with pressure-resistant reinforcement mesh is free from phthalates (< 0.1%), cadmium, barium and lead – meaning it contains absolutely no substances that are harmful to health. The weather-resistant anti-UV outer layer protects the material and the opaque middle layer prevents algae from building up inside the hose. The bursting pressure is 45 bar. The hose also boasts an impressive temperature resistance of between -20 and 65 °C. We offer a 15-year guarantee for this garden hose. Kärcher PrimoFlex® quality hoses are distinguished by maximum robustness, flexibility and kink resistance. Our PrimoFlex® Premium hoses contain yellow DuPont™ Kevlar® fibre. The use of this material is a distinctive feature of our hoses and underlines the high quality and strength. Pressure resistant up to 40 bar. 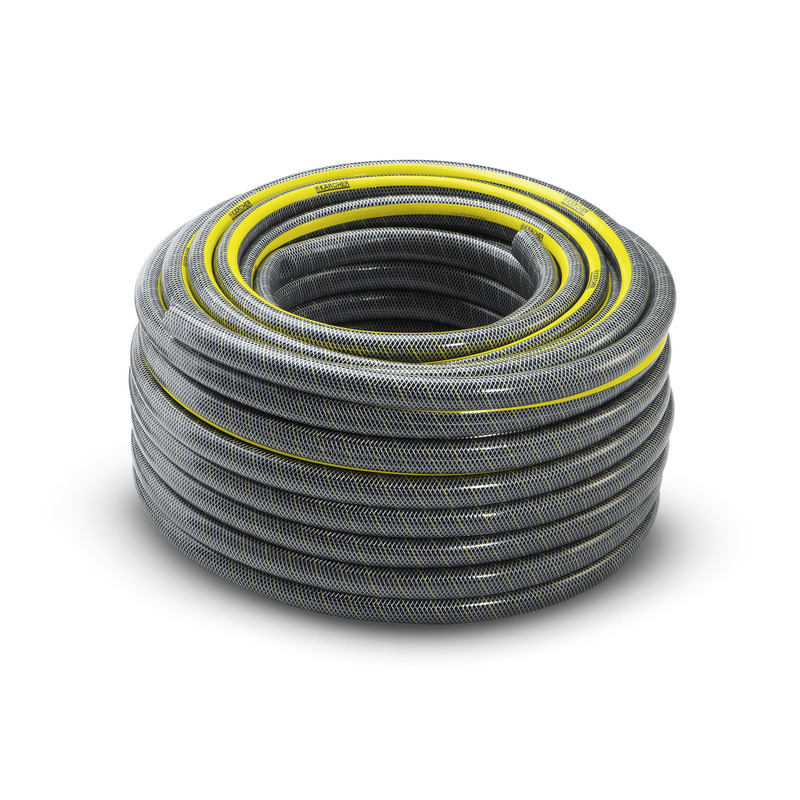 PrimoFlex® plus hose 5/8" – 50 m is rated 5.0 out of 5 by 1. Rated 5 out of 5 by Hosemonster from It’s a hose It’s a hose. It’s very sturdy and lets water through.